I’ve been a member of the Hudson Champlain Region PCA club since 2011 and did my first Driver’s Education (DE) event that year, but it was only sporadically that I did these events until 2015 when I really wanted to improve my driving skills and move up the run group ladder by committing to and, most importantly, enjoying more seat time. As with a lot of young (and us middle-aged adult) kids who are high-performance car fanatics, I’ve also been interested in racing back to when I was a kid watching the legends of stock car racing like Richard Petty, Bobby Allison, and Cale Yarborough. Unfortunately, Porsche sports car racing was unknown to me back in the 70s when the 917s and early 911s were dominating LeMans, Daytona and Sebring. Since being in the club, I had heard some things about PCA Club Racing and the Zone 1 “Clash at the (Watkins) Glen”, but wasn’t quite sure what it was all about. 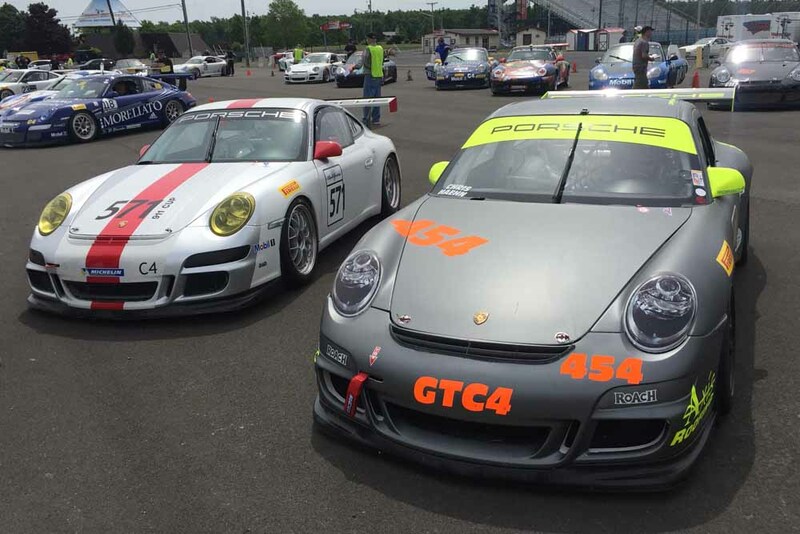 By that time, I had gotten hooked on doing the Zone1 48 Hours at Watkins Glen DE events in 2015 and 2016; so, when Jim Morgan and Chris Klapper put out the call for volunteers to work at this year’s Zone 1 Clash PCA club races in June, I was eager to sign up. There are many ways to participate as a volunteer at these club races – helping with registration, tech inspection, garage administration, scoring and timing, etc – but what caught my interest was to work on “the grid”. Basically, working the grid is getting all of the cars in a particular race classification organized and arranged in a staging area before they are let out onto the track for their pace lap and race event. 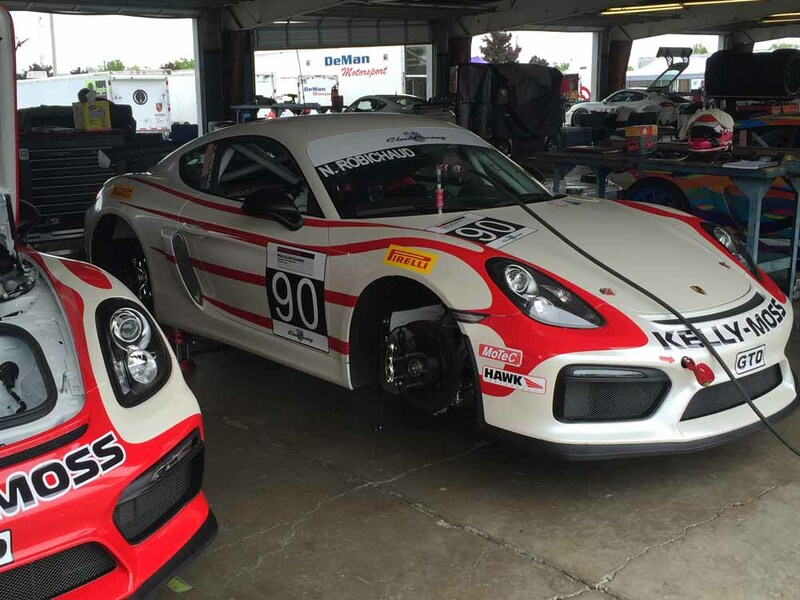 What I really enjoyed about this assignment was being able to get up close to a tremendous variety of Porsche race cars from 944s, spec Boxst ers, vintage 911s all the way up to the latest Cayman GT4 Clubsport and high-dollar 911 GT3 Cup cars and even a couple of GT3 RSR LeMans-class cars. From the graphics on the cars to the open exhaust sounds to the smell of race gas, it was really a lot of fun to work on the grid. In addition to the cars, you get to meet a lot of great people from the racers to fellow volunteers. All were eager to engage in a chat, answer questions and share their stories. Interestingly, some volunteers have never taken their Porsche to an autocross event or onto a track for a DE, but just liked being around the event and come back every year. Regardless of the extravagance of the car or the thickness of the racers’ wallets, the level of competition was very high and exciting to watch. So, if what you have read sounds interesting to you, I’d strongly encourage you to volunteer at one of the club races. And if you’ve never taken your Porsche out onto the track, this may give you the itch to try a DE event which I wholeheartedly recommend! The next DE event being put on by our own HCP group is on Sat, August 13 for novices. Looking forward to seeing you there! 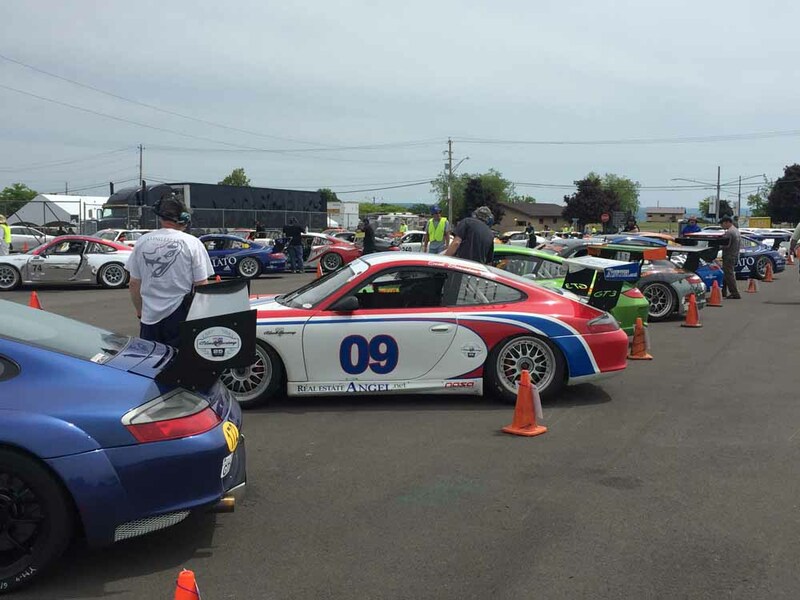 This entry was posted in Autocross - Driver Education - Track. Bookmark the permalink.